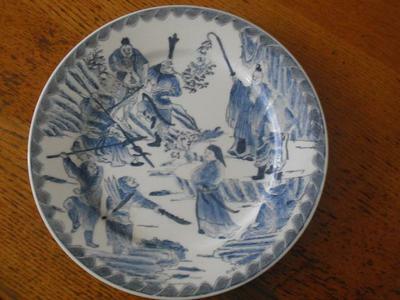 I have a chinese plate,whit a scene of 8 men. The man on the right has a sword in his hand, put of the sword are flames comming and a little man on a horse. The other men are holding swords and spears. Can you tell me what the meaning of this scene is, and who are these men ? 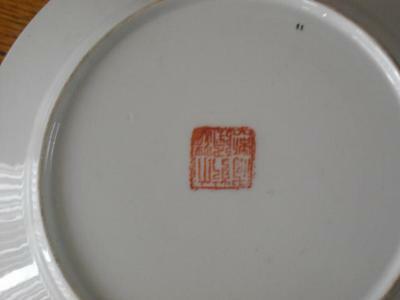 Maybe the age of this plate ? 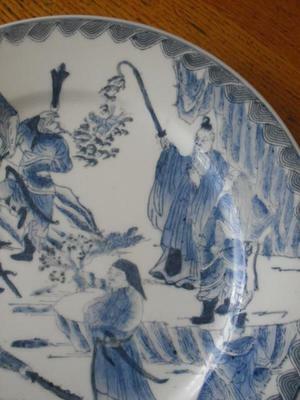 I cannot tell you what this depicts, but the spurious mark and blue decoration color point to a contemporary item.